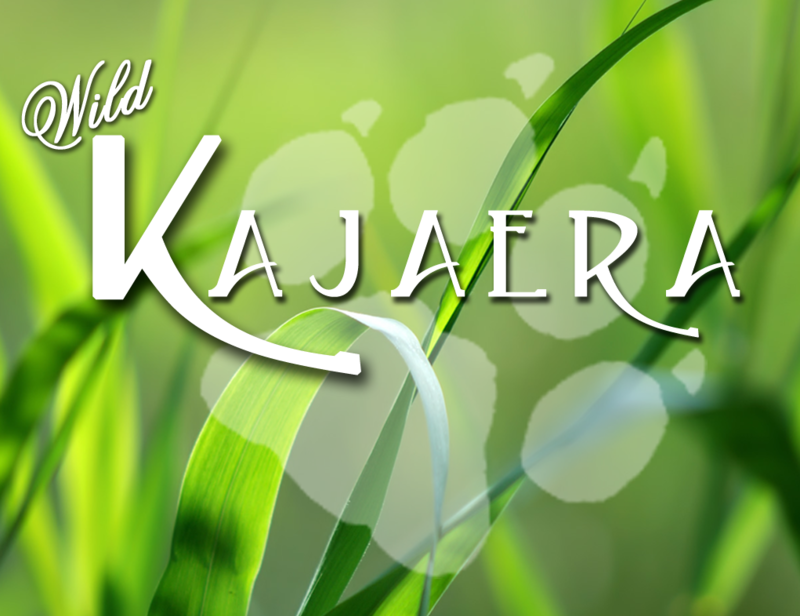 The WK – Wild Kajaera Breedable Animals are pretty automatic in many ways. The wolves & foxes will eat twice a day. All Wild Dogs use the same food dish of the thier owners. The wolves & foxes will grow over 10 days to full size. The wolves will die if unfed for more than 30 days and you will not be able to get them back, death is permanent. The wolves & foxes will breed on your time-table up to 10 litters. The wolves & foxes will live for as long as you feed them, or turn them into a forever pet. The wolves & foxes are sold live to you from WK crates, but will give birth to what we like to call, a birth sack. The birth sack is not a live birth until you choose to birth it. The birth sacks are 6 prims. The wolves & foxes heat will rise in 5 days provided that there is at least a level of 50 in happy with out the use of any WK Booster. The wolves & foxes pregnancy cycle last 5 days with out the use of any WK Booster and as long as the wolves & foxes are health meaning their happy is at least 60 or higher and their hunger is at 0. WK food is server side feeding. This means your wolves & foxes will eat what ever food you have in your WK inventory. (WK inventory is what your WK Portal ~items tab ~ shows you own.) http://portal.wildkajaera.com Simply log in and see, if you need your login click the Activates my Web Portal sign again at any of your nearest WK stores. Pet Food is what you will need for the wolves age 0-2 or non breeding wolves. All wolves 0-2 that are this young do not have an option to eat breeding food so having a bit of pet food on hand is a good idea. If you have bought the wolves from us your crate will come with pet food. ~~Your wolves text will turn to yellow if they miss a meal. If they miss 10 meals the hoover text will go to red and you will need a healing bowl of cream to get them eating again. ~~Wolves & foxes unfed for 30 days or more will become inactive and won’t be restored to SL. At the age of 3 you will get a menu option for breeding. If you choose to turn breeding on you will need WKBreedingFoodBowl and WKHappyBowl they will start eating this the next meal. As they eat the food heat wont start to rise right away it will as soon as the Heat engine sees they have a Happy level of 50. Moxie is also a factor in this that they must have a Moxie value greater than 60 for pregnancy to accrue. ~~If you happen to run out of food again the stat will turn to yellow as soon as they miss one meal. If they miss 10 meals it will go to red and you will need a healing bowl of cream to get them eating again. ~~If they become hungry or moxie drops to 60 or below Pregnancy will stall this is both males and females have to be in good health to have the pup/s. ~~Healing cream will give them 20 of the food stat, and they will eat their way back to health by double meals until they reach 0 food. WKHappyBowl is what can make the wolves happy. It comes in the form of a rawhide bone in a bowl. There is no warning if WKHappyBowl runs out so check this also when you check your food levels. Checking your food levels via the portal is simple at http://portal.wildkajaera.com Simply log in and see, if you need your login click the Activates my Web Portal sign again at any of your nearest WK stores. Once inside click the items tab to see all your items and levels. ~~If they are empty simple rezz them in SL and click the menu Delete button this will remove them from your WK inventory. The wolves will eat from the lowest portion bowl first depending on the food they are set to. As with new-born pups in the real world they are born with their eyes closed and will open 12 hours after being born. Food is default set to pet food, which is the only food needed until they are 3 days old. *IF you wish to breed the wolves, you can place them on breed food at day 3 and supply them with WKBreedingFoodBowl and WKHappyBowl. They are now strong enough to start moving about. The Menu will change to add in the Breed option. If you intend to breed them you will need to click them and turn breeding on. Menu > Breeding > On. Make sure you have WKBreedingFoodBowl and WKHappyBowl or they will start to get hungry. If you ever want to stop their breeding simply click them again to get the Menu > Breeding > Pet. This will switch them back to basic pet food and they will no longer be eating WKBreedingFoodBowl and WKHappyBowl. By now you are fully enjoying the pups and there behaviors. If Breeding was turned on at age 3 you will start to see the heat rise at this age. When Breeding is On wolves will eat both WKBreedingFoodBowl and WKHappyBowl but the heat wont rise until the wolves are 6 and have reached a value of 50 in the happy field. Moxie is our term for knowing if your animal is rezzed out in the SL world and if were able to keep good communication with it. You may note on your dashboard in the portal log in section that animals may go inactive, when inactive were unable to talk to them or they are unable to talk to us. Moxie will calculate 10 points on its birthday and if breeding on some of the breeding advancements Moxie needs to be greater than 60 for breeding to move if less than breeding will stop. It will resume once again as soon as Moxie is once again above 60. Sleep has been recently added because a few of you had expressed concern over the length of time that they sleep. Most wolves in general will spend a lot of time sleeping trying to mimic a natural wolf behavior the wolves will sleep. This has no effect on the wolves breeding, it is its life cycle as it is younger it may be able to stay more awake and an active then when it gets older. We are sure that you all can appreciate the need for a nap from time to time. This stat is simply a timer for when the wolf needs to sleep and a visual for you to understand them better. Your wolves hunger stat will increase to 10 if they miss a meal, if a meal has been missed the stats will change to Yellow indicating that they have and for you to check the food supply. All breeding is stopped until more food is obtained. If they get to 100 the stat will change to red indicating that they are sick, to encourage them to eat again you will need a Healing Bowl of Cream. You have until the Hunger Stat reaches 161 to restore their health if they reach 161 they will become to ill and die from lack of care. You will not be able to get them back at this point. WKHappyBowl is what will increase your wolves happiness. When on WKBreedingFoodBowl and happy is 50 % or greater the heat will rise. Wolf will first get the option for breeding at the age of 3. Until the age of 3 you will not see a breed button. If they are 3 or older you will have an option to breed them. Under this option you will need to turn breeding ON. Once breeding is on you will get a message in chat telling you that they will now eat WKBreedingFoodBowl and WKHappyBowl to make their heat rise. However the heat wont rise until the wolf has reached an age of 6 and has a value of 50 in the happy field. You can mate the wolf with your own wolves, with wolves set to a certain group, or with everyone’s on the same sim as long as they are all set to everyone. You need a pair of wolves one male and one female and they must be with in a 20 meter radius to hear the name selection in local chat. Place the two wolves near each other and tell one of the wolves, the name of the other wolf you wish to couple it with. You do this by following the prompts in local chat. Once you have gotten a message of success you will see in both wolves menus the name of each wolf it has coupled with, now listed. Dad is just as important as Mom you DO NOT want to sell Dad while he is expecting or store him in your inventory or send him to sanctuary all of these may stop a pregnancy from moving forward. Pregnancy will stall if ♨ Hunger (food) is more than 0 on both Mom and Dad. ☪ Moxie (time in world/energy) needs to be greater > 60 on both Mom and Dad. After the completion of delivery of your cubs the happy will reset to 60 and the heat will drop to 0. Ready for the heat to start building to start the process again. You can assign someone OTHER than YOU to be a keeper to your animal by using the Keeper Button and following the prompts. These become available to you to use on your wolves Menu when they are 1 days old. A 0 day old baby is really to fragile to hold or handle much. Right Click the animal the 10 o’clock pie wedge will change to Pet and click to activate your animation selection. Is a toggle button that can ask a specific wolf to climb the Lounge or to get down from the Lounge. Have a wolf follow you. The Follow feature works really well. The wolf will follow you at a leisurely pace. ONLY one wolf at a time can follow you. If you want to impress your friends or yourself run with a wolf following you and the wolf will run too. If you don’t know how to run in sl go to the sl world pull down and click next to always run. Is if you want to ask a specific wolf to play with a toy. You can ask a wolf to fish but wolves are finicky and will only fish about 50 % of the time. It is best to make sure the wolves range includes the fishes area. This will list out in local chat all of the traits the animal has and include the Breed and Species. Personality ~ This is an added animation to the animal and does not affect there breeding in any way. Leg Set ~ this is a just for fun see if you can get the legs in the right order to make a small phrase or word set. This will give you the parents that information used in the genetic make up of your wolf. All our wolves including starters have a genetic background you can see. It will list out in local all of their traits. There are a lot of great features here under motion. Lets take a look at each one. Marks a position in which you want to send you wolf back to if they ever get to far away. The default it is the position you rezzed them out in. By default this is set to off but if you are raising wolves in a skybox 100 M or lower, you will want to turn this on. It lets the wolves know they are not on land. Motion has a wide selection of preset ranges. However if you find you need a custom size or have an odd shape parcel those options are also available. In this section you will find things like Sound, Effects, Text, Sanctuary, Set Name and Delete. Most will be a simple on off option. You will be given a prompt in local chat to type in the name you want. You can change this as many times as you like. Are little particle burst to add a bit of realism to the animal dust and splash. Text on and off will turn the hover text on and off. You sell a WK Wolves and sacks the same way you sell most things in SL. Edit> price. Each owner will get one free pass on each of their wolves. You can not however pass a wolf back to an old owner you must sell it back. For example; Bob passes a wolf to Sue. Sue is the new owner of the wolf but needs to give the wolf back to Bob she can not simply pass it back to Bob because he was a previous owner. Sue must sell the wolf back even if it is at 0 L’s to get the wolf back to Bob. Now Delete is a button I would really encourage you not to push, there is a much better option but I will get to that in a moment. If you do not want the points that go along with the wolf in question you will push this button. If however you might at some point want the points from this animal DO NOT PUSH DELETE you will LOSE any and ALL points. Sanctuary is permanent Sanctuary is for those wolves that you do not want to bother trying to sell in a secondary market. We will credit your Sanctuary register with a point value based on the wolf at the time of turn in. Factors that go into determining of the point value will be everything from age to all of its traits. Sanctuary Points may be used to buy different items from the Sanctuary. Such as limited edition wolves only made available to breeders who use the sanctuary. Boosters to help your wolf when needed or to speed things along, when you just can’t wait. Do not buy OR sell outdated wolves or sacks. The current version for wolves is on WK ~ animals tab. For sacks is on MY WK ~ sacks tab. ~~WK Wild Dogs get updated often, like good computers they must be kept up to date. MOOG is your update system. DO NOT pass or sell a wolf once it has reached 90% pregnant. You confuse the mother as to who owns the pup. has there yet been any information released relating to the wolves leg formation and what the meanings are of the various leg formations in regards to the word “phrases” used to spell out a particular “phrase”? Found the info on the wolves leg patterns,now just need to find the info on the various fur types. The Blog and class info are great sources for finding info. where did you find the leg pattern info ? Can the sacks be updated? If your referring to the option in the menu its to turn on or off the ZZzzz’s which show up when the animal is napping. HOW MANY DAYS IS A PREGNANCY USUALLY LAST? Pregnancy last 5 days if Happy is at 100 and Moxie is greater then 60. If you need assistance with your animals please contact us in world and we will be happy to take a look and advise you. How do i use the WKJarofLovePotionWD? To use the potion simply rezz one potion at a time, after the potion finishes initializing, click to get a menu, get a drop down menu, choose assign and using the animals id enter the number in the box. What potion ending in WD is for the Wild Dogs or (wolves) BC for Big Cats. What does sync do? Not sure if I missed it while reading all the other things. Sync will send out a message to the server and ask for​ any updated information from the server and tell the server where the animal is at if it went inactive. if I place my animals in low prim can I store them in my inventory without them becoming sick or die? Low Prim or Non-Low Prim can live in your inventory as long as you have food. If you run out of food they will get sick and may die. They do not breed in your inventory. One of mine had given birth apparently while i was offline, can’t seem to locate the sac though in my house, any idea’s how i get it back? Check your Portal Page or contact the Support Group to walk you through how to MOOG your sack. How do I revert a pup back to full prim if I accidentally set it to low prim? Its a forever pup/ pet. my free wolf is not in my inventory and i can’t find him anywhere. Is there a way to get him back? Contact a CSR in the in wold group. I just made my Wolf a Low Prim and he’s still laying in a box, is that normal? Better is a personal preference. You should look for traits you like to move into the offspring. what do i do if my dire wolf gets sick? Sick with Red Hover text would need a Healing biscuit to get them interested in eating again. You can find this on the Booster board at any of the Wild Dog Stores.